Catholic Charities of San Antonio President J. Antonio Fernandez, who is seated second from bottom left, brought supplies to El Paso to help immigrant families released from detention by ICE. 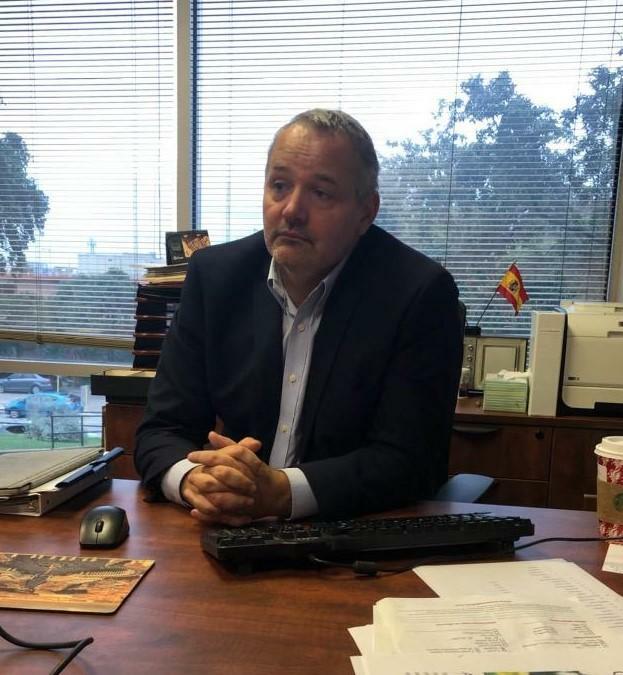 The president of Catholic Charities in San Antonio has returned from helping a flood of immigrant families recently released from Immigration and Customs Enforcement, and he plans to go back. Catholic Charities of San Antonio President J. Antonio Fernandez telling the story of his work with immigrant families in El Paso. Two weeks ago, with little warning, ICE released hundreds of families seeking asylum. El Paso was one of the cities suddenly filled with people who had nowhere to go. 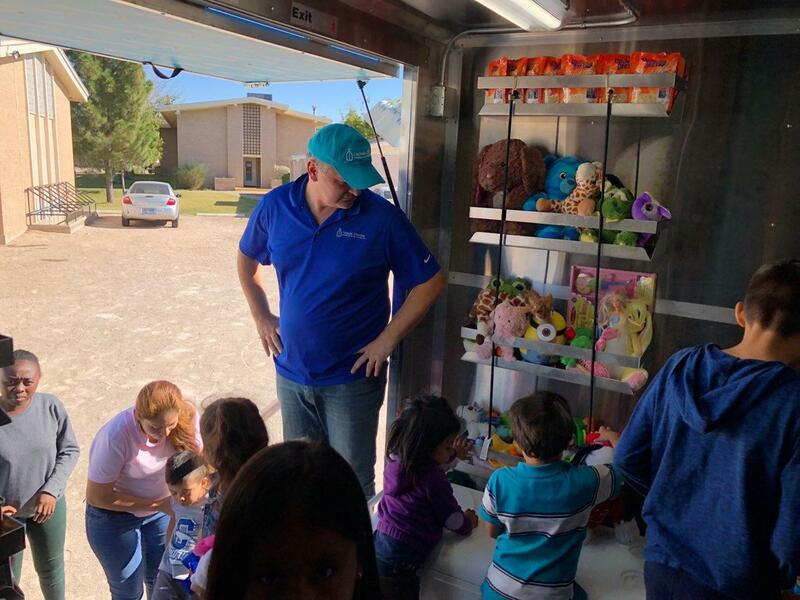 The Roman Catholic Diocese of El Paso reached out to Catholic Charities in San Antonio for help running their suddenly overwhelmed shelters, and president J. Antonio Fernandez loaded up their truck with supplies and volunteers and hit the road. He said what he found when he got there were shelters that were used to accommodating 50 families a week were suddenly serving nearly two thousand people, and help was definitely needed. “So we did everything, from doing intake to cleaning to cooking to whatever it took to provide some love and respect and dignity to these people while they were there,” Fernandez said. Fernandez said the families — who have experienced the trauma of fleeing their home countries, taking a long and dangerous journey and being detained for weeks or months — could have been distressed or angry, but overall they were not. Fernandez says one of the most fulfilling parts of his trip was giving toys to children and watching them play. Fernandez has helped thousands of immigrants during his career with Catholic Charities, and he finds it impossible to square the image of threatening invaders with the people he has known. But Fernandez became pensive when asked about the work he did in El Paso. “I don’t know. I’m hopeful we can do more,” he said. Then, he paused, overcome with emotion. Fernandez plans to go back to the border, and he hopes to bring more donations and volunteers. He’s also reached out to representatives of other faiths and hopes to put together an interfaith task force to do more for these families. What's next for minors who cross the US-Mexico border? How does the immigration crisis impact San Antonio? We hear from Reveal's Laura Morel, immigration attorney Hope Frye and Pastor John Garland. Two family detention centers in Texas currently hold several dozen immigrant families. 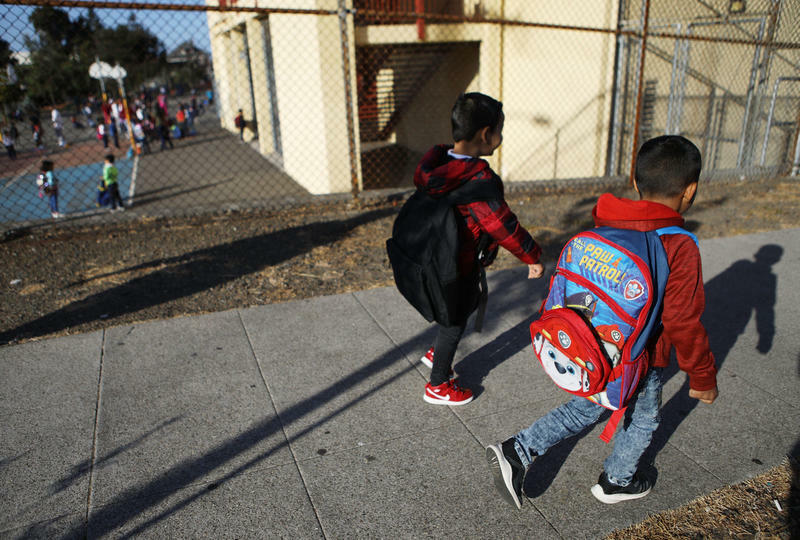 They had been reunited in July but then officials with Immigration and Customs Enforcement returned them to detention, where they have languished for months. More than 400 migrant children remain separated from their parents two months after the court-ordered deadline for the Trump administration to reunite them. Meanwhile, immigration officials are preparing to restart asylum hearings for up to 1,000 separated families thanks to a deal brokered by the ACLU. Here & Now‘s Jeremy Hobson speaks with USA Today immigration reporter Alan Gomez (@alangomez).